1. 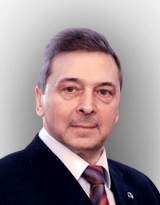 Svetoch E.A., Stepanshin Yu.G., Manzenyuk I.N., Stepanov A.V., Khramov M.V., Rudnitskii S.Yu., Borzenkov V.N., Eruslanov B.V., Shobukhova T.S., Lobkovskii A.G., Bezobrazova S.V., Popova T.A. Sensitivity of Escherichia coli O157: H7, the causative agent of hemorrhagic colitis, antimicrobial. Antibiotiki i khimioterapiya = Antibiotics and chemotherapy. 1998; 43 (11): 16–20. 2. Kaftyreva L.A., Makarova M.A., Konovalova T.A., Matveeva Z.N. Characteristics of enterohaemorrhagic Escherichia coli O145: H28 isolated from patients with hemolytic-uremic syndrome. Zhurnal mikrobiologii, epidemiologii i immunologii = Journal of microbiology, epidemiology and immunology. 2013; 5: 100 104. 3. Padhye N.V., Doyle M.P. Escherichia coli O157:H7 epidemiology, pathogenesis and methods for detection in food. J. Food Protect. 1992; 55: 555–565. 4. Garg A.X., Suri R.S., Barrowman N., Rehman F., Matsell D., Rosas-Arellano M.P., Salvadori M., Haynes R.B., Clark W.F. Long-term renal prognosis of diarrhea-associated hemolytic uremic syndrome: a systematic review, meta-analysis, and meta-regression. JAMA. 2003; 290 (10): 1360–1370. 5. Karch H., Tarr P.I., Bielaszewska M. Enterohaemorrhagic Escherichia coli in human medicine. Int. J. Med. Microbiol. 2005; 295 (6–7): 405–418. 6. Soon J.M., Seaman P., Baines R.N. Escherichia coli O104:H4 outbreak from sprouted seeds. Int. J. Hyg. Environ. Health. 2012; 216 (3): 346–354. 7. Brooks J.T., Sowers E.G., Wells J.G., Greene K.D., Griffin P.M., Hoekstra R.M., Strockbine N.A. Non-O157 Shiga toxin-producing Escherichia coli infections in the United States, 1983–2002. J. Infect. Dis. 2005; 192 (8): 1422–1429. 8. Manning S.D., Motiwala A.S., Springman A.C. Variation in virulence among clades of Escherichia coli O157:H7 associated with disease outbreaks. Proc. Nat. Acad. Sci. USA. 2008; 105: 4868–4873. 9. Tilden J., Jr., Young W., McNamara A.M., Custer C., Boesel B., Lambert-Fair M.A., Majkowski J., Vugia D., Werner S.B., Hollingsworth J., Morris J.G., Jr. A new route of transmission for Escherichia coli: infection from dry fermented salami. Am. J. Public. Health. 1996; 86 (8): 1142–1145. 10. Machado J., Grimont F., Grimont P.A. Identification of Escherichia coli flagellar types by restriction of the amplified fliC gene. Res Microbiol. 2000; 151 (7): 535–546. 11. Verevkin V.V., Volozhantsev N.V., Stepanshin Yu.G., Svetoch E.A, Myakinina V.P. Shtamm bakteriofaga Escherichia coli V32 dlya identifikatsii bakterii Escherichia coli serogruppy O157. Patent RU № 2425877. Zayavka: 2010106806/10, 26.02.2010, opubl. 10.08.2011. Byull. № 22 [Bacteriophage strain Escherichia coli V32 for identifying bacteria Escherichia coli O157 serogroup. Patent RU № 2425877. Application: 2010106806/10, 26.02.2010, publ. 10.08.2011. Bull. Number 22]. 12. Friedrich A.W., Bielaszewska M., Zhang W.L., Pulz M., Kuczius T., Ammon A., Karch H. Escherichia coli harboring Shiga toxin 2 gene variants: frequency and association with clinical symptoms. J. Infect. Dis. 2002; 185 (1): 74–84. 13. Zhang W.L., Kohler B., Oswald E., Beutin L., Karch H., Morabito S., Caprioli A., Suerbaum S., Schmidt H. Genetic diversity of intimin genes of attaching and effacing Escherichia coli strains. J. Clin. Microbiol. 2002; 40: 4486–4492. 14. Ramachandran V., Brett K., Hornitzky M.A., Dowton M., Bet-telheim K.A., Walker M.J., Djordjevic S.P. Distribution of intimin subtypes among Escherichia coli isolates from ruminant and human sources. J. Clin. Microbiol. 2003; 41: 5022–5032. 15. Cookson A.L., Cao M., Bennett J., Nicol C., Thomson-Carter F., Attwood G.T. Relationship between virulence gene profiles of atypical enteropathogenic Escherichia coli and Shiga toxin-producing E. coli isolates from cattle and sheep in New Zealand. Appl. Environ. Microbiol. 2010; 76 (11): 3744–3747. 16. Centers for Disease Control and Prevention. 2002–2003 Foodnet population survey. URL: http://www.cdc.gov/foodnet/surveys/ pop/2002/2002Atlas.pdf Accessed 15 December 2009. 17. Perelle S., Dilasser F., Grout J., Fach P. Screening food raw materials for the presence of the world’s most frequent clinical cases of Shiga toxin-encoding Escherichia coli O26, O103, O111, O145 and O157. Int. J. Food Microbiol. 2007; 113 (3): 284–288. 18. Nyholm O., Heinikainen S., Pelkonen S., Hallanvuo S., Haukka K., Siitonen A. Hybrids of Shigatoxigenic and Enterotoxigenic Escherichia coli (STEC/ETEC) Among Human and Animal Isolates in Finland. Zoonoses Public Health. 2015. Doi: 10.1111/zph.12177 [Epub ahead of print]. 19. Weisbecker A. A legal history of raw milk in the United States. J. Environ. Health. 2007; 69 (8): 62–63.